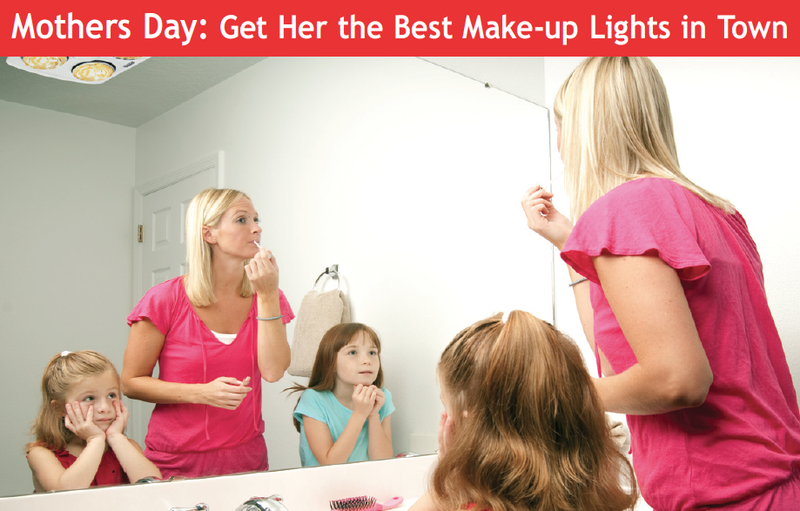 Don’t freeze in your bathroom and have the best make-up lights around by installing a 3-in-1 Fan Light Heater. Not only does it illuminate your bathroom, it provides instantaneous and direct warmth, whilst removing moisture and condensation via an exhaust fan. No more cold bathrooms and steamed-up windows when you use the shower! By using a heat bulb rather than an electric element, it heats your body and the surrounding area rather than the whole room, saving you time and money. A 3-in-1 Fan Light Heater will make your bathroom comfortable, safer (no dangerous portable heaters) and cleaner (stops mould and mildew developing in your bathroom). Australians love long showers. Recent statistics show that 50% of Australians spend longer than 7 minutes in the shower. Nearly 10% of those questioned admitted that they take around 15 minutes to shower. With the onset of colder temperatures, a freezing bathroom always creates the urge to shower a bit longer. Over the course of winter, those extra couple of minutes in a shower (with a standard showerhead) could mean using an extra 2750 litres of water and the equivalent of $50 of electricity per person. Q: How can I be sure my electrics are safe? A: The age of your electrics and the frequency of small faults are indicators that your home is at risk of serious electrical problems. In many cases damaged electrics can present a substantial fire risk. Check their age and find out when they were last serviced. If you have an old house or no servicing documentation, request an inspection immediately. A large number of electrical callouts are related to faults with old electrics, as older circuits are more likely to be damaged and less able to cope with modern, power-hungry appliances. Issues can range from circuits constantly tripping to ageing switchboards catching fire. Do your circuits frequently trip? Does your switchboard look antiquated? Do you regularly use power-hungry devices such as an electric heater? Have your lights stayed on when a fuse or safety device activates. Is your house old or has no recent electric servicing history? Contact a Sharpe Technician to find out more. A common wiring problem in homes is a result of high temperature halogen downlights overheating and damaging your electrics. In most cases this sort of issue can be resolved and safety devices like heat guards installed, but homeowners should ideally invest in more efficient lighting technologies such as LEDs, as these produce less heat and will deliver substantial energy savings. 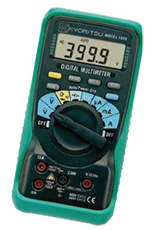 Multimeters are used by Sharpe Accredited Technicians to test for resistance, current and voltage in your electrics.